The Franklin-McKinley School District has the primary responsibility to ensure compliance with applicable state and federal laws and regulations and shall investigate complaints alleging failure to comply with those laws and regulations, alleging discrimination, harassment, intimidation, and/or bullying and unauthorized charging of pupil fees for educational activities, or alleging failure to comply with legal requirements under the Local Control and Accountability Plan (LCAP). The District shall seek to resolve those complaints in accordance with the procedures set out in Sections 4600-4687 of the Title 5 Regulations and the policies and procedures of the District. Click on the link below for more details on the Uniform Complaint Process (UCP). 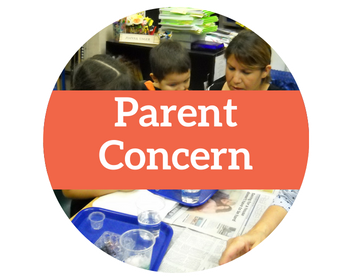 Franklin-McKinley School District (FMSD) encourages all families to work with us on resolving concerns that may arise throughout the course of the school year. All of our schools have a plan of action to ensure that your children thrive in a safe environment, and most problems can be resolved at the school site. Keeping a log of all the people you speak to, with dates and times of the incident. We will address your concerns immediately and follow up until a satisfactory resolution for all is found. We are here to listen to your concerns about your children's education in our schools. We will help you resolve conflicts with schools, as well as follow up with you to determine how effective we were in the process. Report a concern about an incident at a school. Request an investigation or file a formal Parent Concern. Provide feedback about a specific school’s program and/or leadership. Report a concern about any district policy or procedure.